Every so often Life presents tiny-yet-humbling gifts as if orchestrated strictly for my benefit. Sometimes it’s a mystical interaction with a bird – like when the pelican swam across the river, walked up the boulders where I was sitting – and gaped at me from about a meter away. Then it returned to the rio, swam back to the other side and joined its companions. Did they dare that pelican to interact with the human who fought to save their habitat? A very long time ago in Louisiana, while making a farm-road detour around a fierce thunderstorm, I approached a rainbow not far from the malevolent clouds. The left side of the rainbow grew closer and closer and almost touched the car. Navigating an ‘S- curve’ very slowly, I noted that the rainbow came through the driver’s window – I was dumbfounded and full of bliss – driving slowly, trying to comprehend this rainbow in my lap while approaching another curve. As I turned slowly to the right, the other side of the rainbow came through the passenger window! There I was with the left side of the rainbow in the driver’s window, and the right side streaming through the passenger side! Trying to comprehend this unexpected gift, I exclaimed to the rainbow, to the entire universe, “Thank you thank you thank you” and pondered that no one would ever believe me if I shared what happened! I still marvel and wonder about the science that allowed that ‘just-for-me gift.’ When I emerged from the curve to the straight road, the rainbow stayed behind. Next was the intense rain – and ten or so minutes later, I was home. The magic was gone, but never forgotten. Poza Honda Ecuador – These highly-active and perpetually-happy Masked Water-Tyrants served as good-will ambassadors in every location I’ve lived in Ecuador. Attired year ’round in crisp white and black/brown, they chirp, chatter, dance and build nests – always near the water. At Casa Loca along Rio Jama, they foraged along the mud flats at low tide; in Mindo they nested in locations just above the water, and now at Poza Honda they thrive in an ever-changing playground of water hyacinths. While I worked on the Common Tody Flycatcher study, the Water-Tyrants tolerated my presence; ignoring the artist, they frolicked and provided ample poses for my growing collection of photos. Painting these birds would be challenging yet rewarding. Working at night from reference photos, I also worked during the day by the water’s edge. The bi-polar moods of the weather often sent me scampering up the hill to protect the painting! Just as I began the watercolor wash, the skies began to baptize the painting! Our friend Hugh Curtler wrote this week about Friendship, a post worth pondering. Reading off line, I wrote a reply to send when on line (now) but circumstances dictate responding via a just-received example of friendship. This past Tuesday I dropped a music CD at her house after visiting the nearby Portoviejo Museo. Stocked with ‘survival’ groceries in case the heavy rains provoked more mud slides, I needed to get home before dark. At sunset I photographed the reservoir, which lacked about a sneeze worth’s of water to send the excess over the spillway. That night and last night we received more heavy rains. The waters now reach the high-water level, and the surplus is surely generating enough electricity to illuminate the planet! Water hyacinths cascade over the spillway, and chocolate-colored water marks the beginning of Rio Portoviejo. After taking photos, I drove to Ayacucho to make progress on neglected cyber tasks. Ecuador – The Museo Portoviejo exposition nears the end and presents a new challenge; what will I do with all of these children?!!!! Alas, nature beckons and prompts me to continue, so I observe – and I paint! Unlike Audubon, I have an advantage of a camera – but with most every study I wish to have a live (or preserved) bird for more-precise reference material. Birds are happy, trees and flowers are happy – and the aroma of the orange blossoms reminded me of a springtime aroma from Mississippi. What – could – that- be? I wondered, and then grinned. “Mock Orange.” Of course that’s why it has that name! Between rains, I usually take my art bag and spend time near the Common Tody Flycatchers’ nest. Let’s go down to the water and see what’s happening! Shhhh – artista at work! Nomadas en Manabi – Opens Tonight at Museo Portoviejo! Years and years ago, my friend Dan Wise (Rio Colorado Lodge/Costa Rica Outdoors Magazine – Costa Rica) told me about a high-energy woman who made beautiful floor cloths in Costa Rica. “You should meet her, Lisa,” he urged. Hand-painted Concrete floors by Lisa! Here in Ecuador, Museo Portoviejo pushed back the date for the Nomadas en Ecuador Exposition; most likely it will open on July 5, although the showdates are coordinated through the Museum’s home base in Quito. That’s fine with me, as it gives me more time to work on paintings – or to give an old one a new look! One night I worked until 5 in the morning and was so absorbed in my work that I did not notice the light-loving insects that were just over my shoulder! The work area now has blue curtains to deter the nocturnal insects, but that night they found their way to the source! Stepping out of my ‘tent’ area, I was greeted by thousands and thousands and thousands of those wispy little insects. Outside the windows, however, were that many ‘more’ to the 100th power! These ‘hatches’ (?) have happened twice in the past ten months I’ve lived here, and now the numbers have returned to normal! The flora and fauna continue to grant lovely moments; the squirrels continue to raid the bananas! One has now earned my respect and compassion, as it seems to have a deformed front left foot. Brown Wood Rail at ground level view! The natural supply of bananas attracts the Brown Wood Rails for some very-easy photo ops, though the rails are pretty predictable to spot during the final half hour of each day. The forage briefly before crossing the yard and entering their private domain of thick cover. They are funny when they prepare to jump into the bananas! When I first ‘discovered’ that the rarely seen or photographed Brown Wood Rails were my closest neighbors, I thought they were chickens! They often forage near the chickens – the same way that cattle and horses occupy the same tract of pasture. At times the sometimes-territorial chickens chase the Wood Rails, which dart from zero to lightning speed, which always gives me a chuckle! Other times the Wood Rails strut across the yard while pumping their stumpy tails, as if practicing for a parade performance! 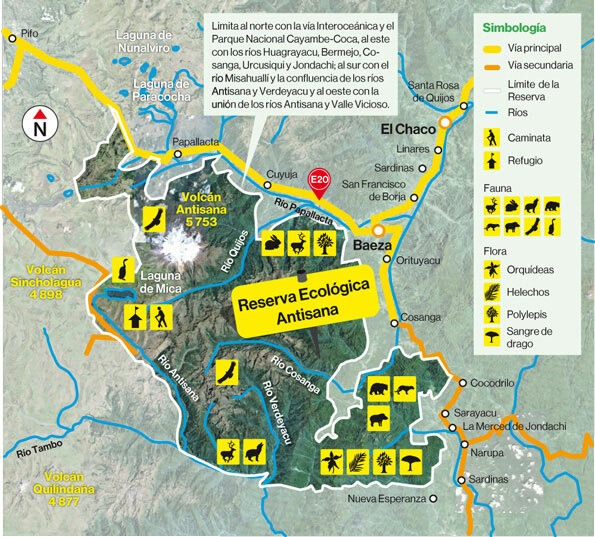 This area is home to the Brown Wood Rail and five other VIP bird species on the IUCN Red List of Threatened Species. IUCN Red List of Threatened Species. Two Wood Rails and one Chicken! Last week while watching the end-of-day activities of the Wood Rails, I suddenly realized that one small brown bird in the cast was not a Wood Rail! Camera – quick! – I managed three not-too-clear images, but good enough for identification. After I listened to the Tinamou upload, Sound Cloud rolled me to an artist I follow. Enjoy some of the music that often plays when I paint late at night – if you feel exceptionally creative, start the Maassen tune on the Sound Cloud page, and then add the Tinamou from this one! Now THAT’s a sample of my work environment! Poza Honda-Manabi Province-Ecuador – The handsome Whooping Motmot is often the early bird of each day, though instead of getting worms, it enjoys eating bananas at the breakfast bar! It – and the Brown Wood Rails – are usually the last birds to visit as dusk fades into night. One of the Motmots has lost its ‘tip feathers’ on its unique tail! Even with a short tail, it’s a lovely bird! The Brown Wood Rails make almost-daily appearances in the yard; they’re pretty predictable when ripe bananas are available! The Brown Wood Rails have competition for bananas… see below! You coffee lovers out there – how’s this for ‘pick your own’ coffee? This particular ‘escaped’ coffee tree is growing beside my home! Birds, Butterflies and Botanicals – solo show at Museo Portoviejo – October 24, 2018 – date has not been confirmed. That’s all for this week’s smoke signal! Costa Rica aerial image from 2012 – View of Playas San Miguel, Bejuco, Corazalito and Islita. Today a friend shared news of a New-Year’s Day airline commuter crash in Costa Rica. The Corazalito airstrip was near where I once lived, and there are many great memories of that unique little welcome center, complete with thatched-roof ‘reception shack’ with original art on its facade. I’ve experienced those turbulent winds that often announce the change of the seasons, winds that grasp a pilot’s attention as well as the passengers’ attentions. Although I did not know any of the 12 people who died this past week, the news makes me reflect on the shattered lives of the families and loved ones – while reminding us that we only have this moment. That news put me in a deeper reflective mood than normal, one that prompted this poor attempt to explain what’s been percolating in my psyche over the past few months. Manabi Province- Ecuador – The past few weeks have been physically demanding as I’ve worked on renewing my passport and getting it ‘in hand’ (10 more years – yes!) and also finished the move from Casa Loca. Since the Dengue/chikungunya illness, my body needs more attentive time for recovering from these trips – as well as unpacking and resuming projects. Of course it could also be that I am not as young as I once was, and it’s part of the cycle of growing older! Look who raids the feeder! Staining frames, painting ‘mats’ – there are always tasks to fill each day. There are always tasks at hand, so every day or so I take a timeout and walk the very-short distance to a little roadside pond. Sitting there, I quickly merge with nature and leave all thoughts behind… I do not think of the past or of tasks in the future. The surroundings bestow me with an acute attention to what’s in front of me – and behind me – and overhead! The Chachalacas often lure me away from the house with their raucous calls that sometimes last for hours! There at the pond I often illustrate Leonardo’s approach (see above quote) for observing nature. I sit on one of two rocks and observe the subtle changes from day to day. Not only is my body recharging its batteries, but I am also engaging in a task that Leonardo describes as essential to the seriousness of an artist’s work. It’s also essential to the health of my soul! What WAS that flash of red – and blue – and yellow? The lovely Ecuadorian Trogon, attired in bold colors as well as a fashionable circle of red eyeliner! Do you see two birds? The Ecuadorian Trogon and the Whooping Motmot provide eye-candy rewards for my quiet disconnect at the pond. They are two of a revolving cast of unique birds that visit this pond. Detail of Motmot’s tail feathers – Photo taken from a more-convenient ‘perch’ from the house…. One can work from photos and capture a strong likeness to the birds, but when one studies the birds in their natural surroundings, it’s easier to capture the true essence. This is true for any slice of nature… only through hours of observation will one grasp the nuances of each subject. There are nuggets of discovery everywhere, even underfoot. Are Artists & Poets Crazy?!! But those black and white sheets did not belong in the same picture! Panama City-PANAMA – Like a stepchild that it is not, an impromptu project at Barb’s condo in Panama has been waiting in the queue of stories to share. After receiving another two-year nonresident visa to work in the arts, I was free to leave Ecuador without a lot of red tape to return. I first visited Costa Rica for a week, took care of personal business, visited with friends, and then on the return trip to Ecuador, bailed out in Panama to spend a week with Barbara. Barbara is my amazing and tireless friend who is selfless when it comes to helping others. Here are images from some of her past visits, starting with when she helped create the Magic Carpet at Casa Loca. Barb preps border with fresh layer of Agua Stop. Barbara brushes white over white! This is surely the most lovingly-painted bodega door in the country! Postscript: Last year’s earthquake altered that Casa Loca chapter. But let’s move on…. Recycled cans! Why is Barb chuckling as she sits on the bench? When the ocean advanced, Barb witnessed the changes. Thanks to Efrain’s visit to the property, Barb was officially infected with the birding bug! We started with a forlorn counter top in need of cosmetic improvements. Near Playa San Miguel/Pueblo Nuevo de Bejuco – Costa Rica. A counter top makeover quickly morphed into a totally-different style for a guest house outdoor-style kitchen. The original was painted about six or seven years ago and had seen much use. It deserved a renaissance treatment with fresh paint! It was easy to spot the areas of heavy use, and we tossed around ideas for dodging similar problems in the future. Hank and Marie have decided to put this part of their property on the market, and the counter top was one of few things that needed attention. See: “A Little Monkey Told Me” for a sneak peek. We enjoyed passing many tranquil hours – in the zen of painting in harmony and at times making room for others to help as well. Thanks Patty and Wendy for your help! With great teamwork, we nudged those painted pieces of ‘mosaic’ beneath the leaves – but the leaves looked lifeless…. ah, but shadows! Shadows would bring them to life! A very-rare Brown Wood Rail in the yard at the Poza Honda Ecuador house! From Dictionary.com : Amble “verb (used without object), ambled, ambling. He ambled around the town. 2. (of a horse) to go at a slow pace with the legs moving in lateral pairs and usually having a four-beat rhythm. 4.a slow, easy walk or gentle pace. Ambling along a shady road with Marie in Costa Rica…. In the past three weeks I’ve been from Ecuador to Costa Rica and back via a stopover in Panama to visit my friend Barb. These were quick-but-very rewarding visits that combined ‘business’ with pleasure. Comparing the three countries, I definitely give Costa Rica and Panama the top scores for quality of internet! Years ago, my friend Xavier Cevallos walked into my studio and stated, “I can never tell what’s real and what’s painted! I’m always afraid I’m going to step on something.” We were looking at a painting in progress, which was on the hand-painted floor – a painted illusion on top of another illusion. Just recently my friend Dady Quadrado expressed a statement that made me laugh – yet it also made me more sensitive to the subject matter that’s painted. She did not want to sit on a sofa in Cafe Palo Santo because I had painted a little gecko near the top of a big logo painted on the space behind the sofa. Presently I’m visiting friends in Costa Rica and volunteered to re-work a design that was painted on the guest-house kitchen counter. They have decided to put part of their property on the market, and this guest house is part of that parcel. The counter deserved some attention! My plans were to ‘patch’ the stained and damaged areas, but while scrubbing, sanding, then filling in the lost areas with splotches of white paint, I was inspired with new ideas. One problem with the previous design was that it was unforgiving and showed all stains and wear. There are now more options for protecting the surface, so the new work should last a very long time. 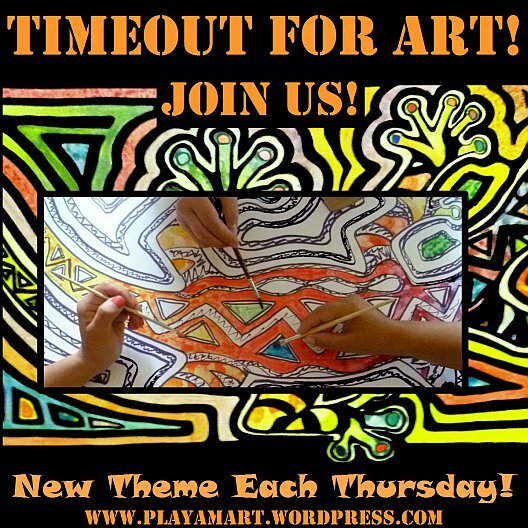 Timeout for Art – Kahlua 7.8! The owners of the cabanas probably think I am sleeping, but in fact, I’m following the above advice to write today’s Timeout Post. After selecting, “Publish” I’ll return to the project. Ladies and Gentlemen; step inside! Fernando Cevallos Sabando and his assistant Gatito work on the upstairs DJ section of Kahlua 7.8. Approaching the 8 A.M. work hour, Fernando needed the key to open the gates to Kahlua 7.8, a discotheque he is bringing out of hibernation. The disco was always called, “Kahlua,” but the 7.8 links all comrades who experienced last year’s earthquake. Five hours earlier under a stunning Carl-Sagan sky, I drove into the hostal parking lot just before the roosters announced the approaching dawn. Before retreating to my cabana, I pondered the best place to leave the key. Perhaps the locals need a vibrant social spot for jazzing them out of their phone daze! Ecuador – Every so often someone offers a mirror, and we see ourselves through another’s eyes. That happened this week via Dennis Koenig aka Balsamean’s blog. Thank you again, Dennis, for an exceptionally-written ‘About the Artist’ review; I remain humbled. His kind words inspired me to finish organizing words and images on an incubating website that showcases my art. ‘There was an ole artist who lived in a canoe… she had so many paintings, she didn’t know what to do!’ Pencil, Museum Studies, Flora, Fauna, Whimsical, Contemporary, Hand-painted Floors – it will take a while to lasso the offspring and tweak their placement in this eclectic family tree of art! Like John Muir, I had a childhood dream, but mine was to live in Argentina’s pastoral Pampas region, painted so lovely in my fifth-grade geography book. I wanted to raise quarter horses and ride the pampas like those gaucho cowboys! Those Mississippi-childhood dreams faded, though every so often I was wistful to live in the Neotropics, home to exotic botanical specimens I thirsted to see in person, where locals conveniently used large tropical leaves for impromptu umbrellas and where heliconias soared to the moon. The road less traveled eventually delivered me to Central America and then Ecuador, places where the temperatures never dipped below freezing – unless I desired to visit the peaks of Chimborazo, Cotopaxi or other high-altitude landmarks that dot South America’s Andean spine. There are times when I enjoy an eye-to-eye inspection of those exotic plants, and by capturing their likeness with pencil or water media, I discover minute details that otherwise might be missed. I always walk away with deeper respect for the plant and its support cast of companions. While painting this Thunbergia study, I noticed monarch caterpillars nibbling the leaves of a nearby milkweed! There are times when I toss the scientific seriousness aside and allow the personality of the subject to emerge. These always bring great mischievous joy, as if freeing a personality that was trapped by a long-ago wicked spell. Most people can easily spot the human spirit in Ecuador’s Ceibo trees Ceiba trichistandra. Presently I’m in the tropical dry forest, where for half a year the climate is humid with bi-polar rainfall, depending on moods of the nearby Pacific waters. The rainy season weans into the dry season, and many trees go into a dormant stage. It is in this section of Ecuador’s coast where the gigantic Ceibo trees join forces with the much-smaller Palo Santo. These two trees leave lasting imprints on those who bond with the flora and fauna of the area. ‘What is that unique sweet smell?’ people might ask. Many times it’s the subtle aroma of a just-bruised branch of Palo Santo. The dried ‘holy’ wood is burned to repel mosquitoes as well as to clean a room of heavy energies or bad spirits. Memories of painting sessions at Hotel Andino. Sweet Gaby took a Timeout for Art several months ago, though she was absent last time thanks to a broken wrist while playing basketball! I’ll ask who painted this mural…. Quito Ecuador – Returning to Hotel Andino is always a pleasure, and I am able to rest, run errands and almost always take a Timeout for Art. Upstairs – the view from the doorway of Room #7. Time to go downstairs for breakfast! Tucked on the back corner of the second floor landing, Room #7 offers a sweet little nest for one. A small built-in wall unit makes me wonder what the room’s original purpose was, and I suspect that the towel-rack area in the bathroom was once a doorway. With a bit of a shell-shocked gaze, I laughed and said I could hear nothing over the sound of the construction. Just behind my cabana, workers have been working day and night on one of many ‘relief-house’ projects for those who are still living in tents. Ground shaking machines prepare the new areas before portable concrete mixers belt out their own source of background music. Workers tackle each house with amazing skill and seem to work in harmony, even if the noise level tested my patience. Timeout for Wanderlust, Accidental Experiences – and a Little Art! Ecuador – As a child growing up in the Misssippi Delta, I was painfully shy and dreaded interactions with strangers. A loner, I thrived when roaming the outdoors, inspecting wildflowers along ditch banks or immersed in the dense canopy of the woodlands, where I might sit for hours in hushed tranquility. I am grateful for young-adult opportunities of teaching art as well as speaking to groups as ‘A Gardening Artist.’ I realized that we all have strengths and weaknesses, and that unique threads connect us all. Slowly I grew comfortable with interacting with strangers, and now I embrace those opportunities to know my fellow man. Quito Ecuador – “Lisa, how much does it cost to stay at Hotel Andino?” my friend Stephen asked a few weeks ago. He laughed, and I gave a quick summary. Their sweet hotel has many opportunities for touches of art, and we trade art for the hotel costs. While guests were sleeping, I painted this ginger in the breakfast room. Thank you for your positive feedback on the post, In Celebration of Trees! The tree theme continues with a rollback to last March when my friend Barbara helped with improving the trails. We selected many nature-related quotes then had fun painting signs on rainy days. Barbara/aka Hummingbird not only helped with painting signs; she also helped transform some of the trails. But the efforts were rewarding! Before selecting a board for the John Muir quote, I tossed around ideas for illustrating the message then decided that a board was too small. It deserved to be a more-serious work of art. Mindo Ecuador – Sentinels of our communties, trees posses a strong power. They plant their feet firmly and stretch their arms toward the heavens as if tickling the sky. Horizontal branches provide support for a child’s dreamy afternoon respite or a house cat or even a jaguar! In the Neotropics, trees provide a unique ecosytem, where bromeliads, orchids, vines and ferns provide food and shelter for insects, birds, reptiles, mammals, etc. The dense shade cloaks the ground with welcome relief from extreme heat. Ah, who hasn’t expressed gratitude when stepping beneath the canopy of a large tree on a sultry day? This past week while sorthing through old drawings and sketches, I paused when reviewing three or four pages of attempts to illustrate a quote. Then Rebecca Budd /Clanmother shared a quote about trees, which nudged me into bringing that sketch to life. Those lovely sentinels watch over us, yet many times we forget to acknowledge their presence or worth. The Texas Pachamama Christmas Fairies brought a huge assortment of art supplies. The airlines might have taxed them for extra weight! The Pachamama Christmas Fairies delivered high-quality art materials 8 months early!!! Thank you Pachamamas! … While the ladies were out birding, the two boys and I sat on the front porch for an impromptu art lesson. With great pleasure, I’d like to introduce you to seven new feathered friends that have given me great joy! They can definitely be classified as ‘endemic” and are quite rare; they thrive in a very petite ecosystem in Mindo Ecuador. Only one of these hybrid species has a name; the Purple-crested Puffball might be petite, but it is a bundle of perpetual energy. The rest are waiting for names, and I hope that some of you will help with suggestions! 1. This little blue and green stinker started it all! The original plan was for a simple design of whimsical cartoon hummingbirds spaced along a straight limb. Simple. Fast. The firstborn quickly morphed from a basic shape with colors to a perky bird in a sparkling costume! 2. The little bird that anchors the corner has the body of a sparrow, and a beak designed for a special yet-to-be-created flower! My life-long friend the pencil! (Ecuador) Using my.yahoo.com as email provider home page, I view the most-recent emails, the 5 top news stories, news of Ecuador/Latin America, weather stats for specific locations, and science and arts stories. The custom page provides a quick summary of the day’s pulse when I log onto the internet. Museo Portoviejo – Ecuador – This AMAZING group of students repeated every sentence I spoke in English! I pondered how to share my own thoughts regarding the importance the arts play in our world. The best option seems to illustrate with images from old posts, where art played a large role in bringing people together while introducing them to the magic of self discovery. “Do not judge—or you too will be judged. For in the same way you judge others, you will be judged, and with the measure you use, it will be measured to you. Why do you look at the speck of sawdust in your brother’s eye and pay no attention to the plank in your own eye? How can you say to your brother, ‘Let me take the speck out of your eye,’ when all the time there is a plank in your own eye?” Matthew 7:1-4. What surprised me were the negative comments on the video’s Youtube page. I pondered my own story, one of being embraced by the people of various Latin American countries. I did not have to prove my worth – they accepted me into their communities with amazing trust. Thank goodness they have not judged me based on negative PR regarding the USA, whether it’s caused by a single tourist or the military or our administration.